We are pleased to introduce two new scholarly series from Baylor University Press, the Baylor Handbook on the Greek New Testament and the Baylor Handbook on the Hebrew Bible. Similarly, individual volumes in the series have titles like Galatians: A Handbook on the Greek Text, and Amos: A Handbook on the Hebrew Text. But what exactly are these Handbooks? Some new kind of reference work? As it turns out, they’re commentaries, but they are different from other commentaries you may have used. 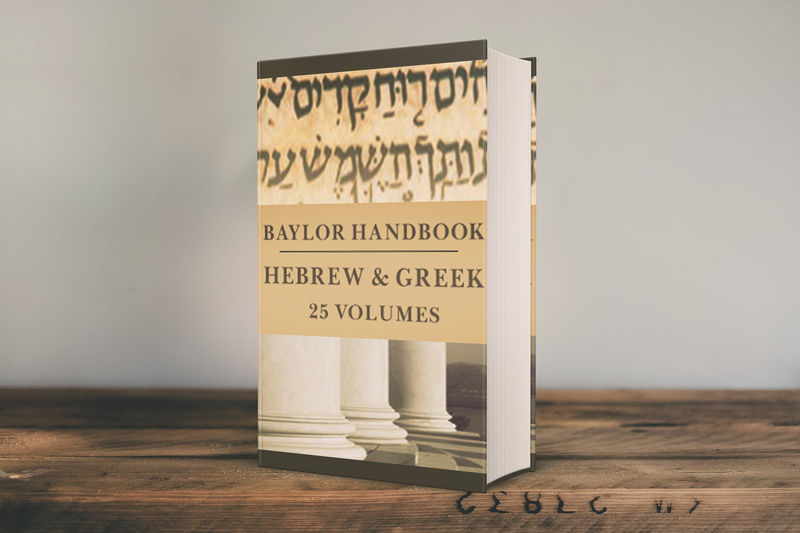 What set these Baylor Handbooks apart is the detailed and comprehensive attention given to the Greek text of the New Testament and the Hebrew text of the Hebrew Bible (the Old Testament). The basic premise of the Baylor Handbooks is that the meaning of a text, in its context, is revealed through the grammar and syntax of the words. 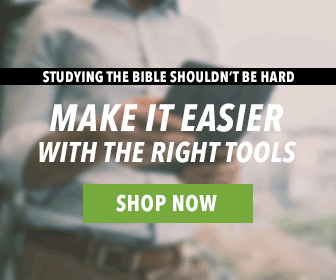 Throughout the series, the authors apply the methods of generative grammar to the biblical text, showing how the structure of the language itself influences our understanding and guides our translation. 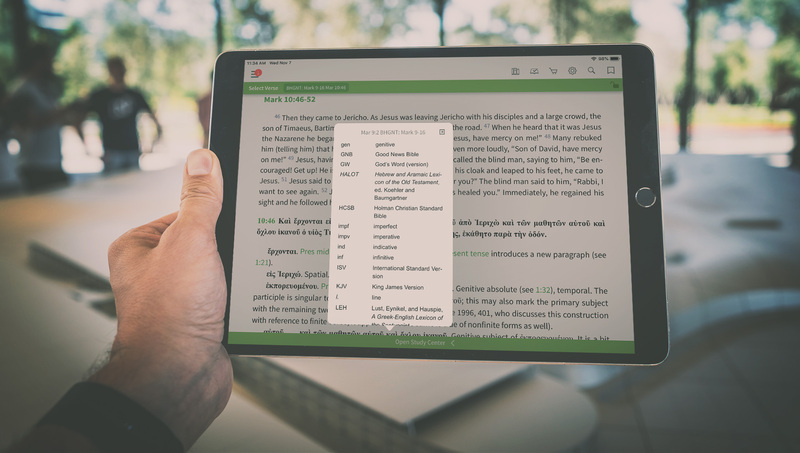 Each volume in the Baylor Handbooks series begins with an in-depth introduction to the book, with particular attention to language issues that are unique to the book. Then, addressing a verse or section at a time, we have the author’s own English translation and the verse in the original Greek or Hebrew. Following that, we have a verse-by-verse, phrase-by-phrase and word-by-word explanation of the text and how it should be understood and interpreted. The commentary explanation in these Handbooks includes many grammatical terms and abbreviations which may not be familiar to the reader. So, these terms are highlighted in the text. Additionally, tapping on the word displays a popup window showing its definition from the glossary or list of abbreviations. ARE THESE HANDBOOKS FOR YOU? So who would benefit from the Baylor Handbooks? Clearly, they assume the reader has a basic knowledge of Greek or Hebrew. Therefore, working through any of the volumes would be a good way for students to sharpen their language skills. Also, those doing in-depth study of a passage will find the Baylor Handbooks provide a solid linguistic foundation for the material in traditional commentaries. Get more information on this resource by visiting our store. Then, add it to your library!